Welcome to East Salem. 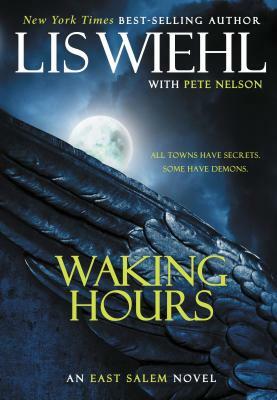 A deceptively sleepy town where ancient supernatural forces are being awakened. A local high-school girl is found murdered in a park amid horse farms and the wealthy homes of northern Westchester County, New York. The shocking manner of her death intrigues forensic psychiatrist Dani Harris. All the suspects are teenagers who were at a party with the girl--yet none remembers what happened. Could one of them be a vicious killer? Or is something more sinister afoot--something tied to an ancient evil? Across town, former NFL linebacker Tommy Gunderson finds his state-of-the-art security system has been breached by an elderly woman. Mumbling threats in Latin, she attacks him with an uncanny, preternatural strength. Before he has time to process the attack, someone close to him is implicated in the girl's murder at the park. He agrees to help--and finds himself working with Dani, the only girl who could resist his charm years ago when they were in high school. A heavy darkness is spreading. Yet a heavenly force is also at work. Dani and Tommy suspect there's more to the mystery than murder, more to their growing friendship than chance . . . and more to the evil they're facing than a mere human killer.